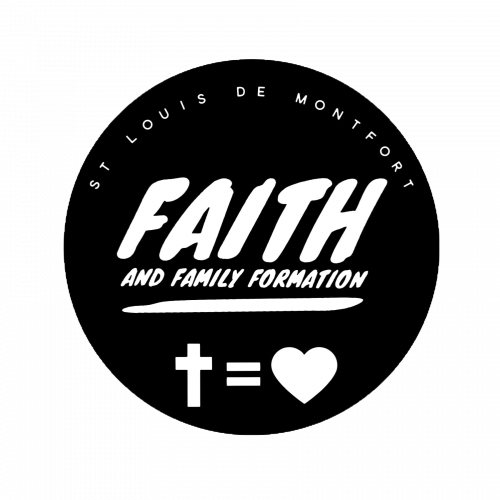 The Faith and Family Formation Program is led by a team of staff and volunteers who are passionate about Jesus and whose vision is to “Lead children, and their families, into a growing relationship with Jesus, the Church and with others”! Our goal is to help families grow in faith together and to become lifelong disciples of Jesus Christ. Lou's Kids is our Religious Education for children in grades 1-5. The goal of Lou's Kids is to provide a fun and interactive program tailored just for kids, no matter what age and grade they are in to help them know Jesus and grow spiritually as they build meaningful relationships with other children and adults!Classes meet on Wednesdays from 3:45pm - 5:15pm and Thursdays from 6pm - 7:30pm. Programs run September through May. Edge is the name of our middle school youth ministry program. It provides a safe, fun place for youth to find solid Catholic community, to get answers to their questions about faith, and, most importantly, to experience Jesus in a profound and personal way. Edge is open to students in grades 6 - 8. Edge meets on Thursdays from 6pm to 7:30pm in the Upper Room of the Parish Center. The program runs September through May. Our Sacramental Preparation program is designed as a faith journey for kids in Grades 2-8, and their parents to take together. To prepare for First Communion, your child must be enrolled for 2 consecutive years in either Lou’s Kids or Edge. Parents attend Parent Nights as well as Family Night workshops over the course of the 2 years. Listed below are the requirements to ensure a family’s readiness for 1st Communion. Because the bulk of your child’s formation will come through their experience at class, regular attendance is crucial. To ensure that your child is receiving proper formation, they are allowed to miss no more than 5 classes during the year. Missing more than 5 classes may result in having to repeat that year of formation. 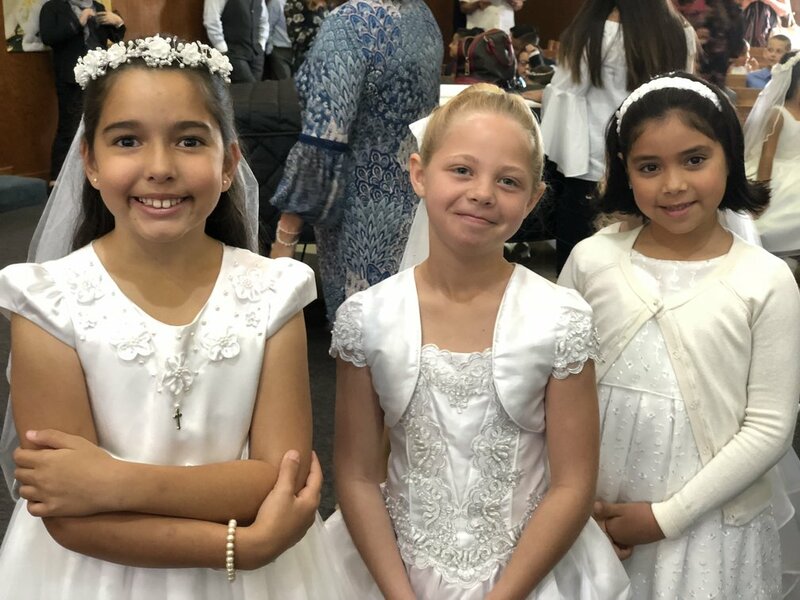 While a child’s 1st Communion is truly a special moment, that 1st communion is just one of many communions to come. Your family’s attendance at mass is an important part of helping your child build a life-long faith. To ensure regular participation at mass, we utilize a program called My Offering. This program helps us to keep track of a child’s mass participation. Each child receives a “Mass Coin” with their name on it. During the collection at mass, children simply drop their “Mass Coin” into the collection basket as it comes around. Once the attendance at mass is recorded, your child’s mass coin will be returned to them at their next class. Parent’s Night is a great opportunity for parents to grow deeper in their faith and connect with other parents. The evening features food/drinks, social time, and a relevant teaching message. As part of the sacramental preparation program , a parent is required to attend a minimum of 2 Parent’s Nights during the year. Family Night is an opportunity for parents and children to come together and connect with each other, grow in faith together as a family, and connect with other families. The evening features games, crafts, a relevant teaching message, and more. As part of the sacramental preparation program , families are required to attend a minimum of 1 Family Night during the year.